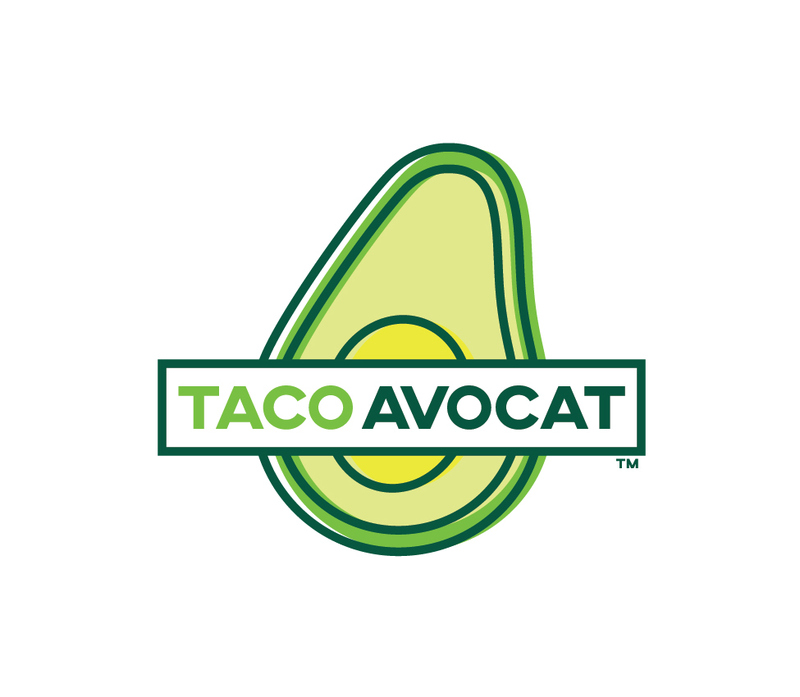 New to the industry, Taco Avocat is setting themselves apart by developing good-for-you fast foods. At the brand's core lies the following premise: that healthy fats are necessary and can be consumed with avocado oil. For this reason, all items served will be fried in avocado oil. Taco Avocat needed a mark that would tell customers what the core idea behind the business was even before they entered the restaurant. A large avocado communicates that everything on the menu is centered around the fruit. It also serves as a recognizable sign versus other fast-food signs as the shape and colors would be visible from afar.